Many years ago I noticed that some of the leaves in our old books had seals on them which were clearly placed there before the book was printed and bound – they are sometimes found on the reverse of the printed side of the paper, and are not usually in logical positions. 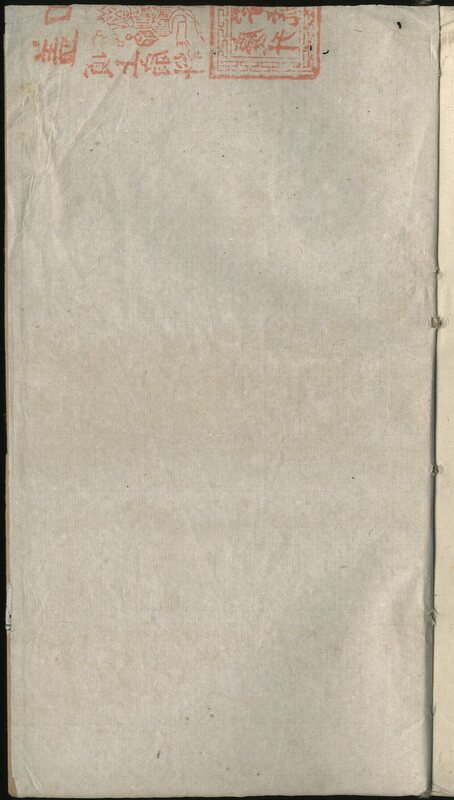 They turned out to be the seals, or rather the trademarks of the manufacturer of the paper. I started to record them in the hope that I would discover enough to support a study of them, but long ago I gave up after discovering only ten. Undoubtedly there will be many more in our collection, but finding them will involve examining thousands of editions, tens of thousands of fascicles, and hundreds of thousands if not millions of leaves. Now, Devin Fitzgerald at Harvard has taken up the task, and with the advantage of youth, not to mention the internet, he will probably succeed. He has already enlisted the help of colleagues in gathering data, and we should regard him as the central collection point for anything we might turn up. 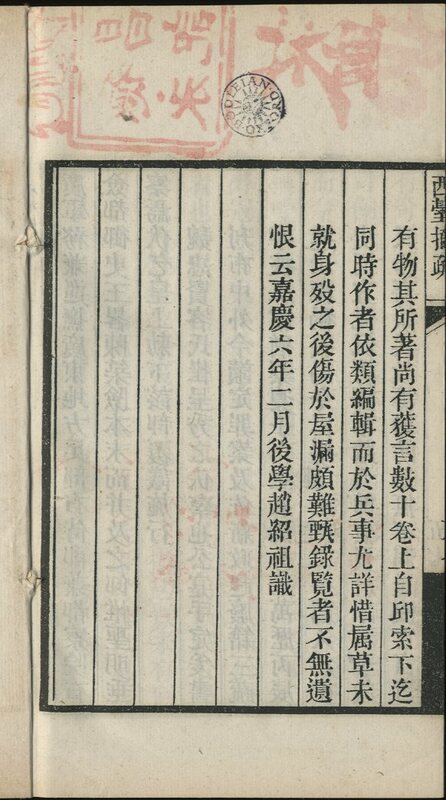 He has drawn attention to this in his blog, where he has also pointed out a bilingual paper on the subject that has been done by Zhang Baoshan 張寶三 of the National Taiwan University: Paper manufacturer hallmarks in rare Chinese books from the Qing dynasty 清代中文善本古籍中所鈐紙廠印記研究. 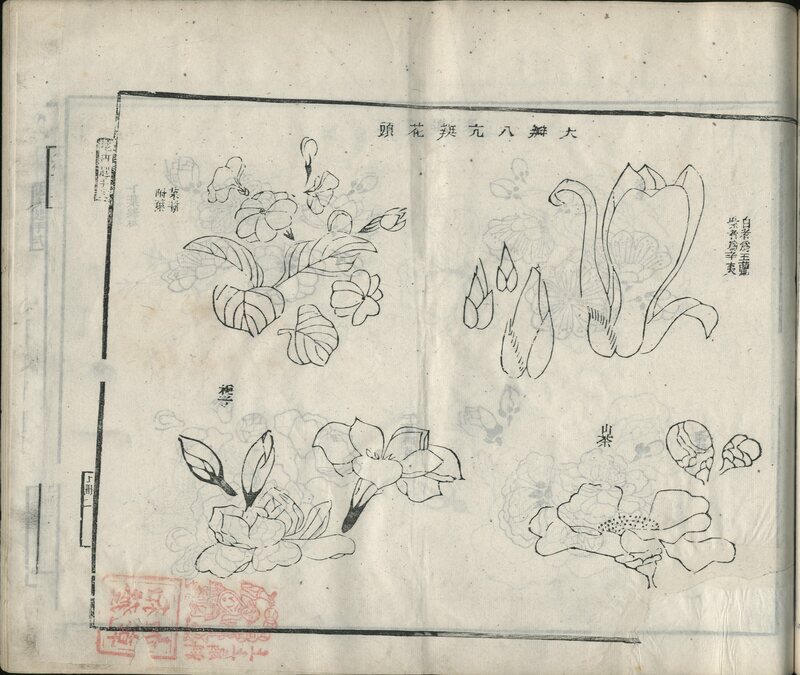 Here is my small contribution, nothing more than images of the ten papermarks I have discovered in our collection. I have given a precise shelfmark and page reference of the fascicle in which they were found, together with brief details of the edition. I have listed them in chronological order, but it is possible and indeed probable that not all the copies were printed at the time the blocks were cut. 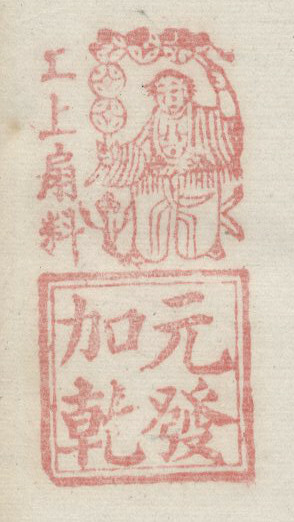 In the case of the papermarks that are found on the reverse side of the printed sheet, I have used an image editor to flip the image so that the mark can be read. In one case I have had to join up two separate images. 1. 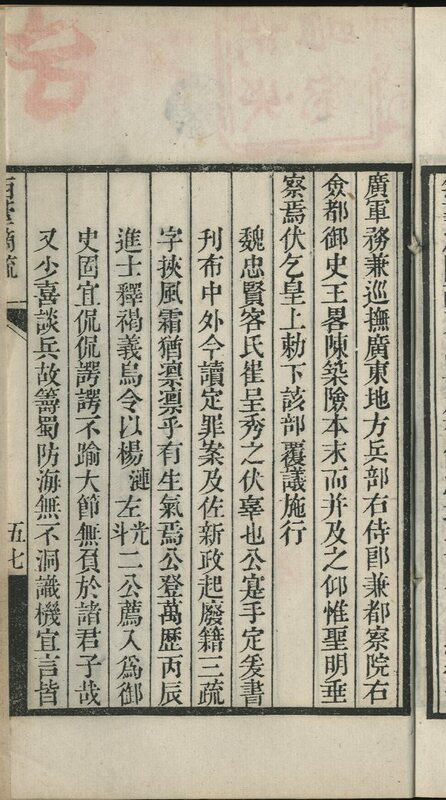 Sinica 180/27, 2:32b. 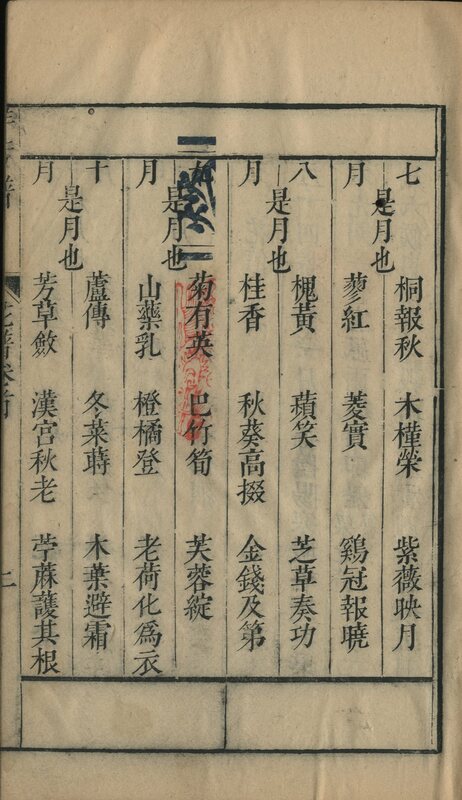 三才圖會 (明萬曆中). 2. Sinica 528/19, 首2a. 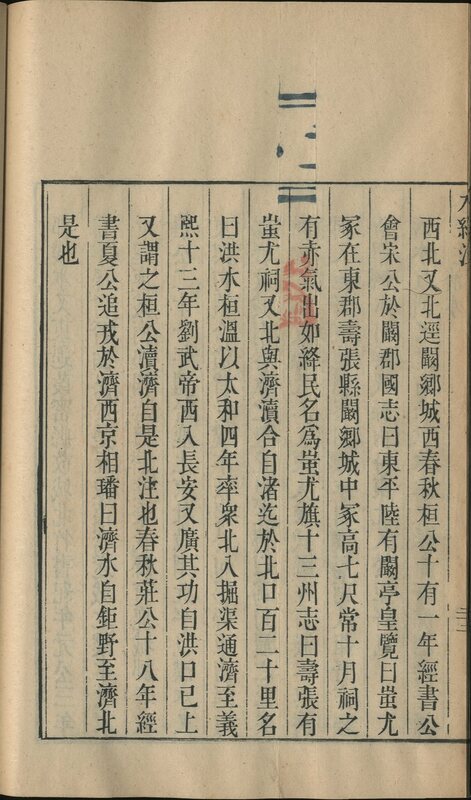 二如亭群芳譜 (明末). 3. 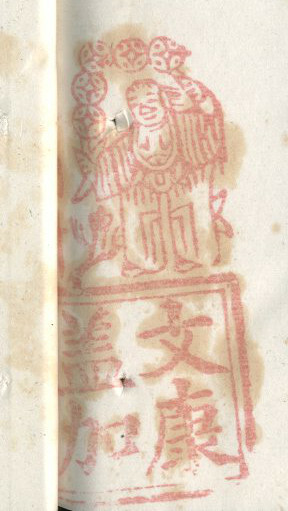 Sinica 3143/4, inside rear cover. 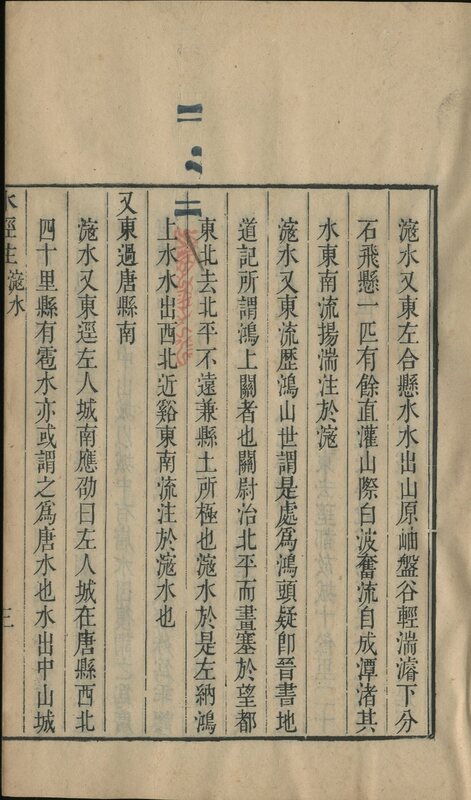 石榴記傳奇 (清乾隆壬辰). 4. Sinica 2691/7, 滱水3a. 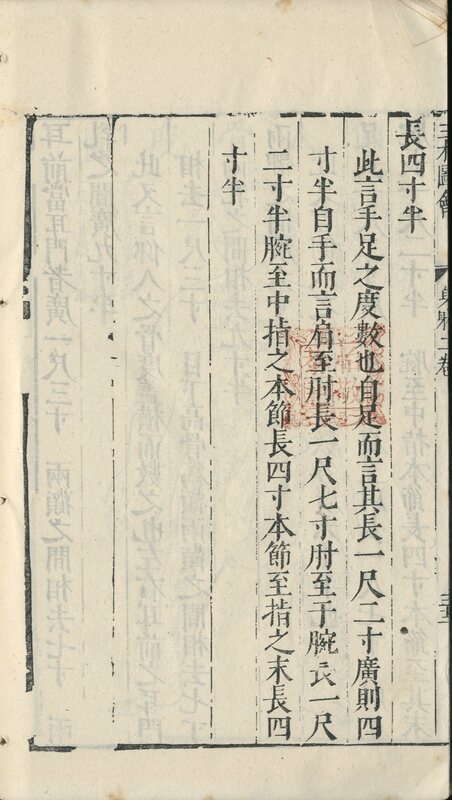 水經注 (清乾隆中). 6. Sinica 559 序2b. 歲寒堂詩話 (清乾隆中). 7. Backhouse 254/54, 本傳5a. 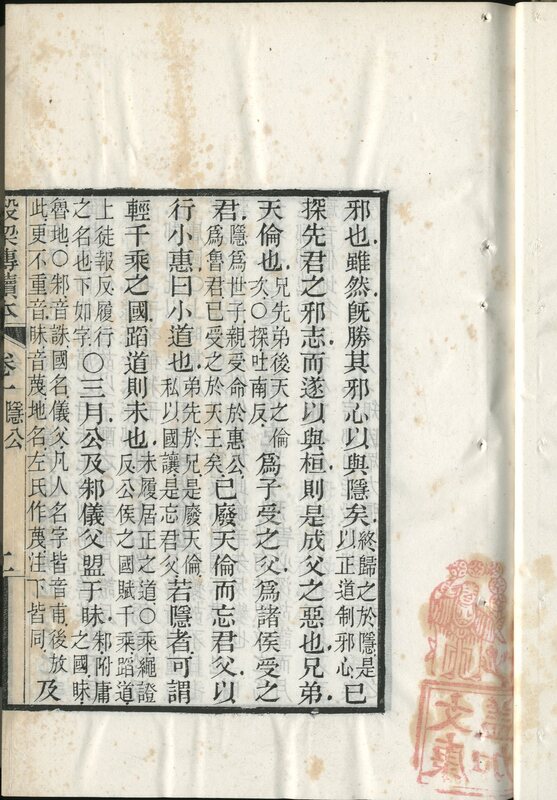 畿輔叢書 (清光緒五年). 8. 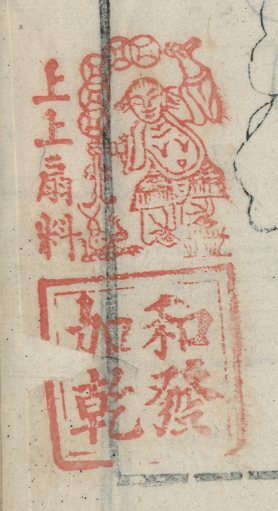 Sinica 2695/1, 花卉起手式上冊2. 芥子園畫傳三集 (清). 9. 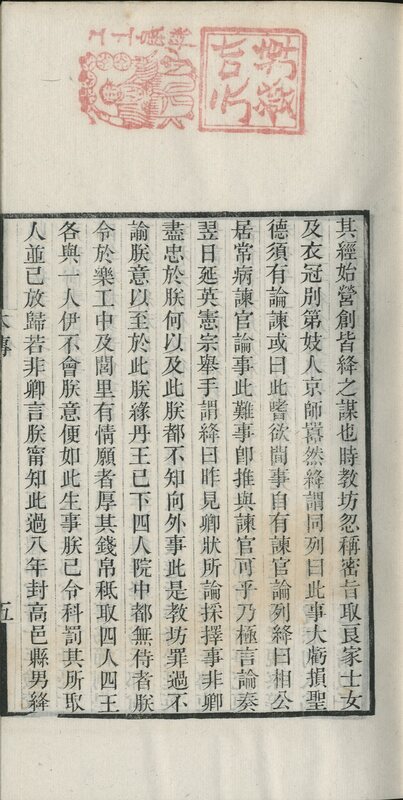 Sinica 2645/10, 西臺摘疏57. 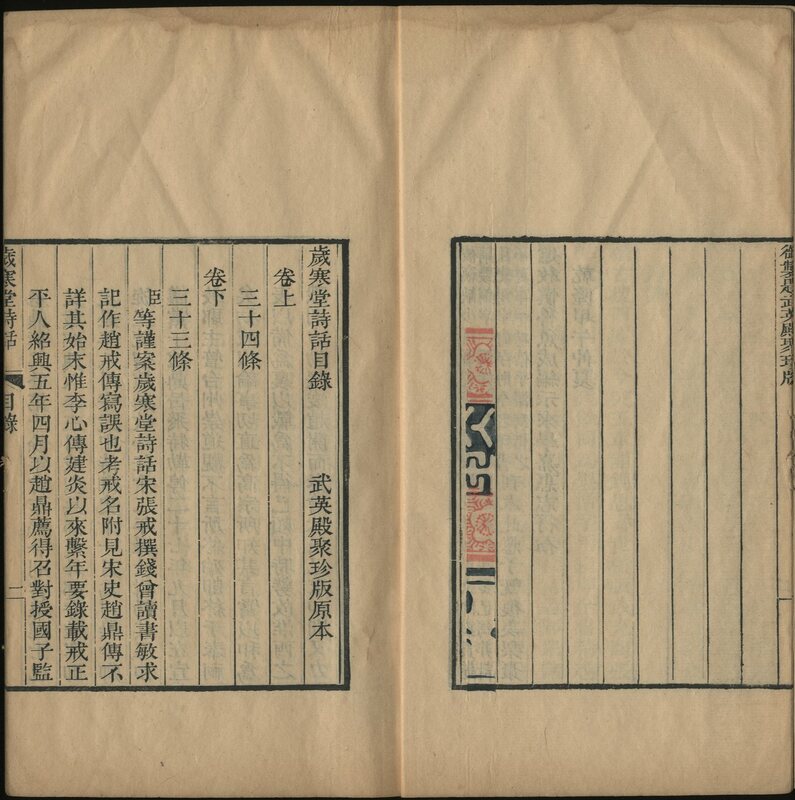 涇川叢書 (民國六年). 10. Sinica 2698/61, 1:2a. 十三經讀本 (民國甲子). This entry was posted on	26 April 2017 at 21:42	and is filed under Uncategorized.